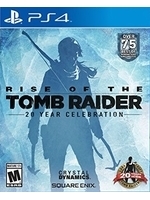 PS4 owners have had to wait for a year before finally being able to play Rise of the Tomb Raider, but at least they are getting the full version, including all its DLC and a few bonuses.We have prepared a bunch of videos of Rise of the Tomb Raider: 20 Year Celebration so you can see what to expect, so don't lose any of your precious time and check them out inside! As usual the full text of the review is available in the French version of the site, but we still translated our verdict and the plus / minus section. 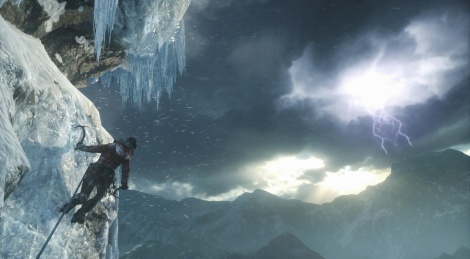 We had a great time playing Rise of the Tomb Raider. It's a solid sequel of an already quite good title, and the new gameplay features help to alleviate the feeling that it's just more of the same with different environments. It took us around 15 hours to complete the with a 73% completion rate, with many things left to do in the open world zones. With a better story and deeper characters, this would have been one of the best action/adventure releases, but as it is, it's still a very solid and enjoyable title to discover for all PS4 owners, even a year after its release! So the enhanced visuals are kept for the PS4 Pro. There seems to be input lag sadly. DF said otherwise. that it was now like the PC/360 version. Well, I can still feel it, in the camera movement, when shooting. I'll do some more testing. maybe it's always there but it's reduced compared to the xbone version? i'd hope it was gone at this point. i don't get why the xbone version was the only one with it in the first place. It seems like a fun game. But I wish they would do more to separate Tomb Raider from Uncharted. "- Predictable and pedestrian story"
Storytelling isn't that great either. Characters are not really well done. has lara toned down the whiny posh girl tone that she had in the reboot? She's still chatty, but I guess she whines less now she's used to slaughtering bad guys. So many games recently had exceptional AA techniques recently even on console that now aliasing bothers me much more than before. I keep seeing so many people hating on game characters that talk to themselves too much but i personally really like it, if the writting is good and it fits the character of course. I actually do that myself all the time but not out loud otherwise people who happened to hear me would think im insane. I love characters that talk during gameplay. From far cry insticts to uncharted. But lara is so poorly voiced it grates on me. Same with what has been shown of horizon zero dawn. It's the same woman who voiced chloe in life is strage and i hate her voice and i hated chloe. It doesn't ruin a game, it just kills any attempt to make me care about the character. I don't think she is that bad but definitely not amazing. My biggest problem with the new lara is that she is so boring and I don't mean i want her to be cracking up jokes all the time but just give her a bit more personality. As for Aloy in horizon, are you talking about the official demos? because the talking there was just to explain the context of the demo. If you see some of the unofficial videos of the same demo she doesn't actually describe everything she does. Also it hasn't been confirmed yet but if it is actually Ashly Burch i personally like her voice but i have to say i do hope the writting will be better because im very excited for that game. It has a lot of potential to become an amazing franchise. Really looking forward to this on the PS4 Pro. The thing that disappoints me the most is that so many people keep complaining about the story, writting and characters being bad but the devs seem to completely ignore the feedback. They addressed almost all complains people had after the first game like the puzzles etc. but they never mentioned anything about improving the narrative aspect of the game. Can someone tell me if they have said anything about that in an interview or something? "- Uncharted 4 has set the bar high when it comes to visuals"
If UC4 is technically better then why is Sony releasing a PS4 Pro? That's a good question right there because apparently Sony disagrees with what can be done with the hardware. They knew that a pro model was necessary otherwise it would not have been in development. If you can't understand that UC4 is technically above the rest, you're in denial. It's not about liking the game or even about saying it's the best title out there, it's about admitting that no one has been able to reach this level of details yet. The reason why Sony decided to released the PS4? Well, because not all studios are Naughty Dog, not all studios can put that much time and money in a game, so people at Sony's are hoping more power will at least give developers a chance to make their games closer to the PC versions. "Uncharted 4 has set the bar high when it comes to visuals"
this argument would make sense if they were dropping the PS4. but they're not. all games will run on PS4, and i'm guessing most games bar a few will simply have a 4k (upscaled) mode. they're cashing in on 4k. making a console to help push their 4k TV's. the pro's existence is hardly about graphics when it will always be tethered to 3 year old hardware. it's why they're not trying to push the pro as a new console. it's why they're recommending you stick with the PS4 if you don't have a 4k TV. which is what i, and many others will be doing. as for uncharted looking better...it does...substantially so. I found Uncharted 4 an odd looking games, At times it looked great then other times really poor with wee tiny squares everywhere that looked awful. I've never seen a game before or since that looked like Uncharted 4 in that regard. The other thing that gets hate on Tomb Raider on here is the story, Give me gameplay for a game over story everytime. The last Tomb Raider was much better to play than Uncharted 3 and il put money on this being better to play than Uncharted 4 since we didnt actually do much in that game and certainly not enough to offer any replayability. If i want great story i'l watch a TV series not play a game.